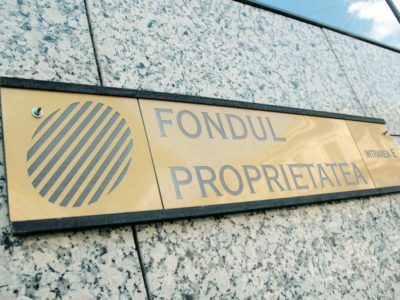 Fondul Proprietatea (FP), the closed-end fund managed by Franklin Templeton, was able to overturn a decision taken by the shareholders of Hidroelectrica, the state-owned energy producer, regarding the appointment of interim members in the Supervisory Board. The Bucharest Court House admitted the request of the fund and declared as null and void the decisions taken in the shareholders’ meeting of Hidroelectrica from August 3 2017. Through the vote of the Ministry of Energy, the company had appointed as interim members with a 4-month mandate the following individuals: Lambru Ioana-Andreea, Negru-Ciobanu Andreea, Cojocaru Radu Spiridon, Borbely Karoly, Tudor Laurenţiu Dan and Gâmbuţeanu Horia-Marian. They were proposed by the state. Fondul Proprietatea, which is the minority shareholder with a stake close to 20 percent, attacked the decision in court. The decision also applies on the new mandate contract form that was set to be closed between Hidrolectrica and the members of the Supervisory Board, stating the duration of their mandate and the pay for the board members. The decision issued on February 12 can be appealed. Law firm Popovici Nitu Stoica & Asociatii worked for FP in this case. The fund challenged the board appointments, claiming that they breached the corporate governance legislation, alongside the company law and the foundation act of Hidroelectrica. Furthermore, the FP said that the appointments were not made in an independent and transparent manner. The fund also claimed that the new form of the mandate contract breaches certain laws, including the one on corporate governance, according to people familiar with the case.